Trivia: This was first movie for writer Thotapalli Madhu as a villain. Banner: Sri Rajeswari Films Pvt. Ltd.
Trivia: This film garnered National Award ffor Best Lyrics by Veturi for the song 'raalipoye puvvaa neeku raagaalenduke'. Trivia: This was a remake of Tamil hit film PANDITHURAI. Trivia: This was debut movie for Gollapudi Srinivas, son of renowned writer and actor Gollapudi Maruthi Rao. 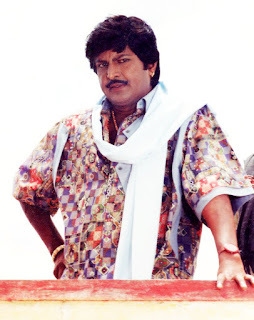 Ironically, Srinivas has been dead accidentally in the middle of the shoot on 12 August 1992 at the age of 26 years. After son's death, Maruthi Rao completed the movie. To commemorate Srinivas's death, Maruthi Rao founded the Gollapudi Srinivas Memorial Foundation and giving Gollapudi Srinivas Award to a promising debutante director, every year. Banner: Powmex Films Pvt. Ltd.
Trivia: This was a remake of Hindi hit film DIL (1990) by Indra Kumar. In the middle of the shoot, Divya Bharathi was dead after falling off the balcony from her apartment in Mumbai. The remaining portion of her role was completed by another actress Rambha, who resemblances Divya Bharathi. Trivia: This was first full-pledged film for Vamsi as a music director. Trivia: Kavya Ramesh is the original name of actress Sanghavi.